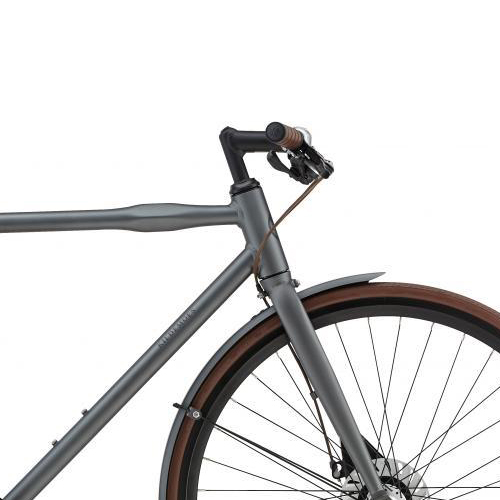 " One of the leading Danish industrial designers today is Knud Holscher. 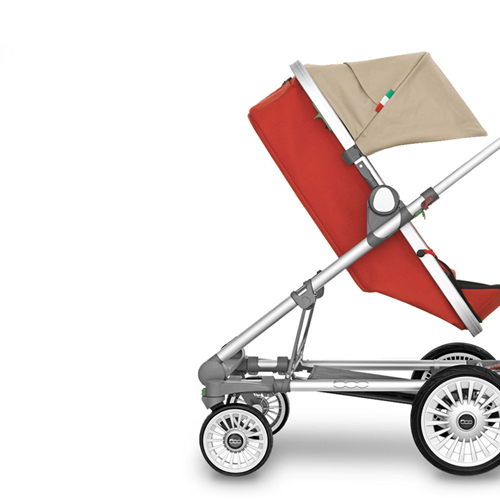 We developed the first version of the Papilio stroller together with him. 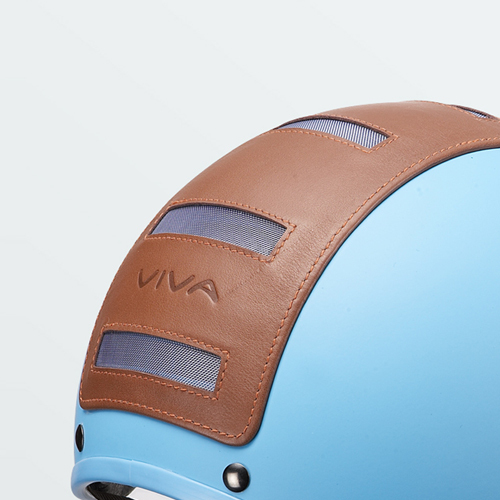 He loved our idea, and we loved his design." 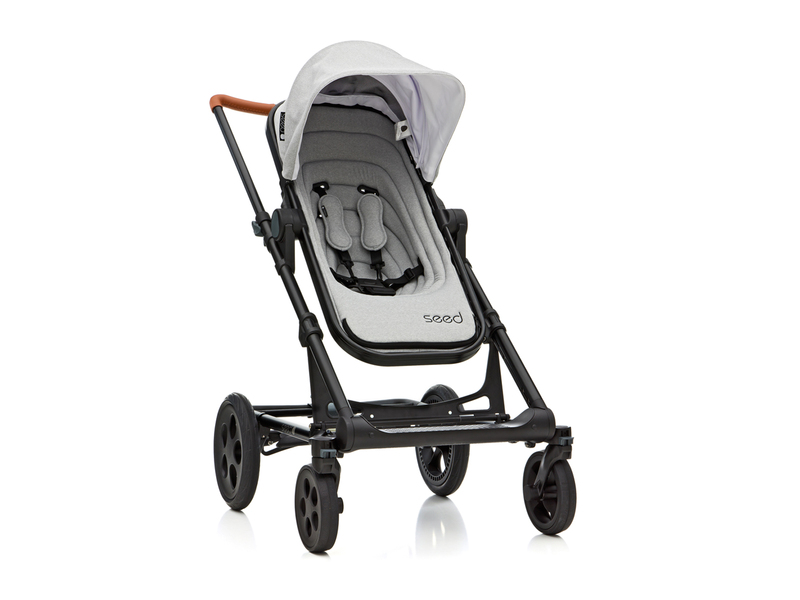 Seed strollers incorporate a tilt-proof rectangular chassis in its design. moulded magnesium and aluminium make up the chassis instead. "I think that the human-centric approach, that permeates Holscher Design, and where orderliness is a keyword, has increased our own integrity i more or less everything we do as a company. Our cooperation with Holscher Design goes far beyond design." 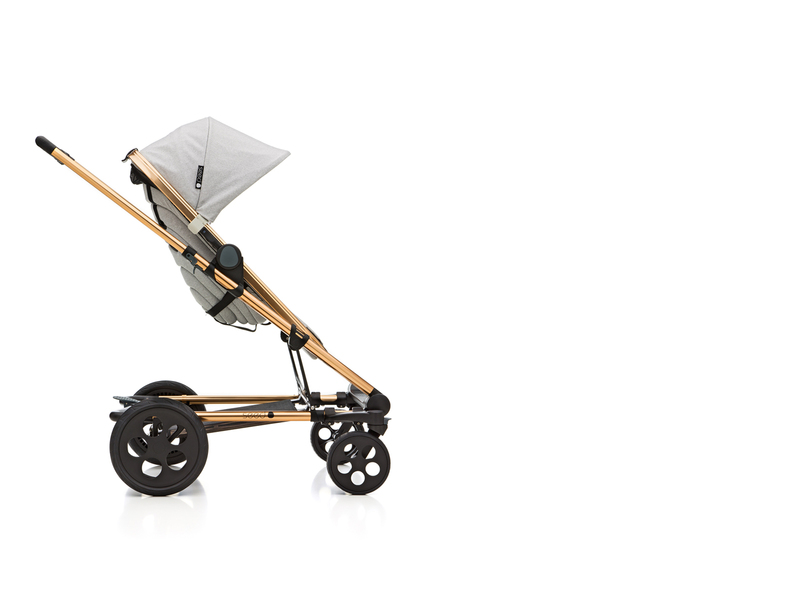 Papillio stroller is designed to make it safer being a child and easier being a parent. 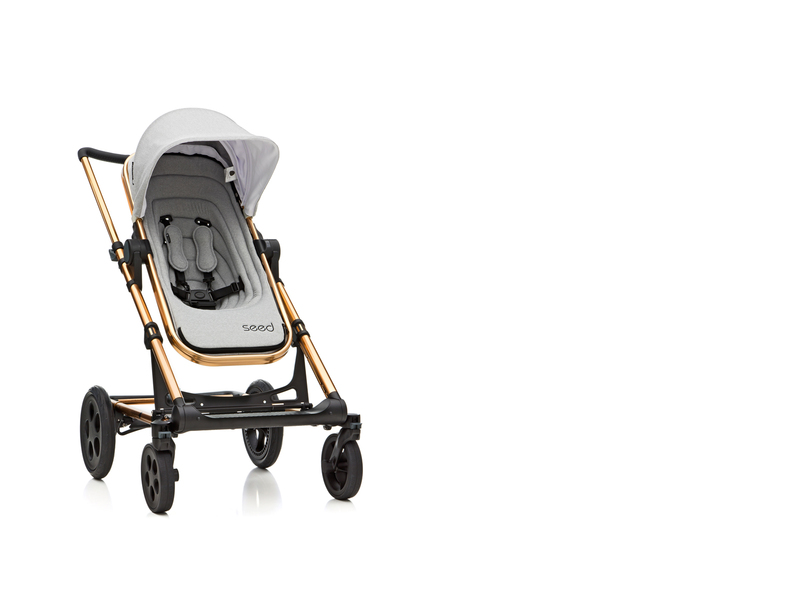 With Papillio you can take a stroll with your child awake in a pushchair and return home with a sleeping child in a pram. The transformation from one to the other only takes a few seconds, following a few simple steps. 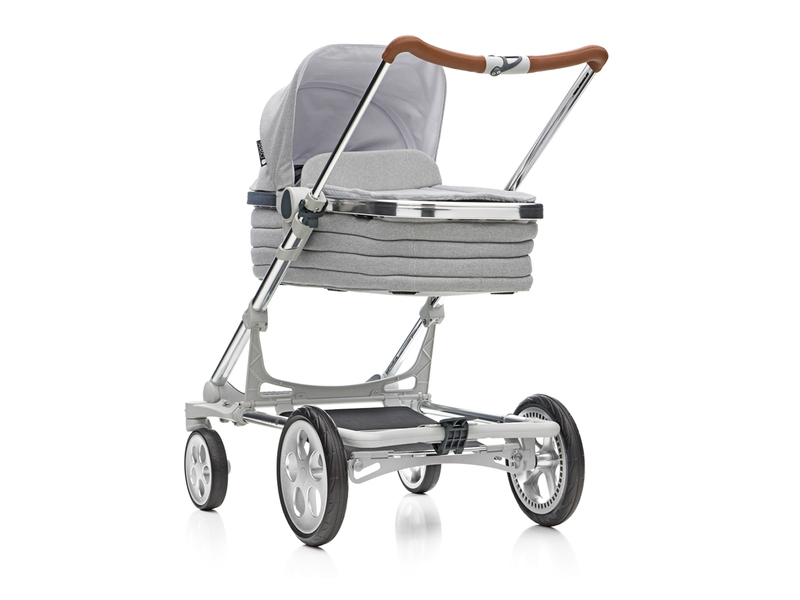 The aluminum frame folds easily together and the wheels automatically fold underneath the stroller, making it a height of only 22 cm. 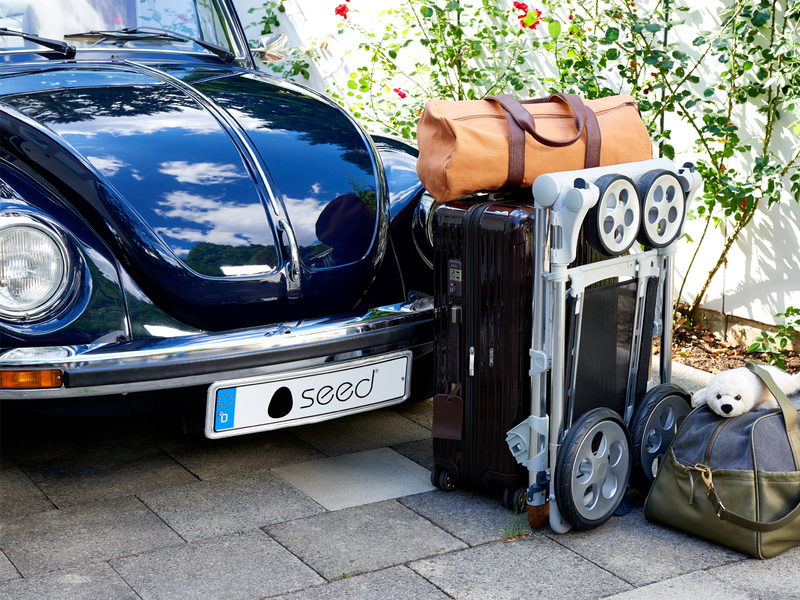 The stroller can also be folded flat. In total a Papillio weighs 13 kilos.